It's just possible that the crafty folks at the XDA developers forum have managed to upgrade the Galaxy Tab from trainwreck to fender bender. All it needed was a healthy dose of Gingerbread. Here's how to get it on yours. 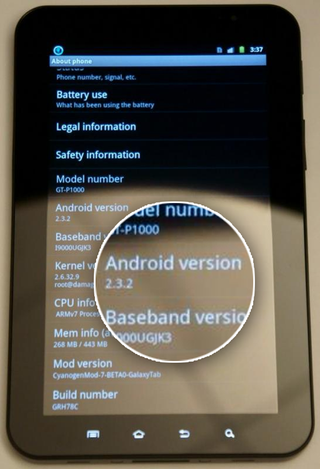 What XDA dev Technomancer has done is given Galaxy Tab Gingerbread in the form of CyanogenMod 7. But be warned! While it appears that voice, data, Wi-Fi, and GPS all work fine, the release is far from stable in its current incarnation. No camera, wonky sensors, and so on. So don't try it unless you've got plenty of experience in these sorts of situations.